There was a time not so long ago when the name ‘Robin Thicke’ on a new release single was chart poison. 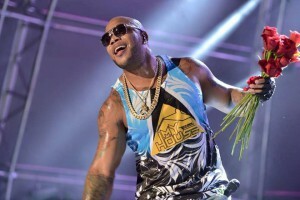 But when combined with the funk of Earth Wind & Fire’s Verdine White on the new Flo Rida tune ‘I Don’t Like It, I Love It’, it seems all’s been forgiven. Though the track hasn’t quite hit the top ten (peaking at No.17 thus far and edging out of the top 20 over the weekend), it has enjoyed its time in the sunshine, picking up a gold sales certification (35,000+ copies). It’s not hard to tell why the track’s been successful; it’s funky, fresh and summery, providing a little respite from the depths of winter we currently find ourselves in. Add in a clip that looks a little like an all-day street party and it’s all very likeable.